That’s right, ladies and gentlemen, boys and girls, and anyone else in between. 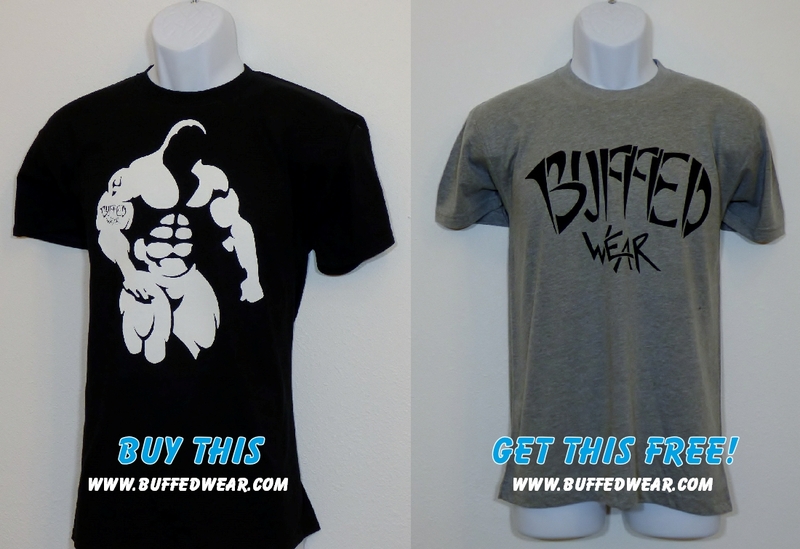 BuffedWear is proud to announce its first ever FLASH FRIDAY SALE. Every Friday we’ll be bringing you a minimum of two and a maximum of 4 items that we think you’ll like. Sometimes we’ll do a BTGTF (Buy This, Get This Free) like this Friday, April 15th, 2016, and other times we’ll be offering a minimum of 25% off, many times with even greater savings! Now you’re probably wondering, “Doc, how do I get in on this? I mean, what if I forget?” Well, there’s several ways you can stay connected with us – via Facebook, Instagram, and email. Follow us on one or all to make sure you never miss a post! We’ll be posting them on our Facebook clothing line page at BuffedWear Clothing and Gear, and sharing to our blog page, The Dr. Buff Experience, so make sure you ‘like’ those pages (don’t forget to click on the ‘like’ down arrow and select ‘All On’ under post notifications. By default, FB has that off). Our Instagram handle is @buffedwear, so make sure you hop on over there and follow us. We’re on Twitter as @drbuff1954 so giddyup over there and follow us. And don’t forget to subscribe to our newsletter here to be kept in the loop on not only our FLASH FRIDAY SALE but every so often we’ll be doing weekend and during the week promos that will ONLY be offered to our email subscribers. So subscribe here for that. Whew…it’s been a busy past few months, but it’s time to move gear, outfit you guys, and build this business even better than it already is! So let’s get started with our FIRST EVER FLASH FRIDAY SALE! Below you’ll see the 4 items that are available Friday, April 15th ONLY! Buy one, get the other one FREE (just pay shipping and handling…had to put that in…HA!). Ready? Let’s Go!! Ladies, grab our ‘Lift Hard Be Strong Stay Cute” saying on this super soft and comfortable, 32 singles, longer sleeves and body lightweight thermal fashion hoody HERE. When we receive your order (remember, order MUST be received by Midnight PST on Friday, April 15th), we’ll ship you a FREE BUFFEDWEAR tanktop. 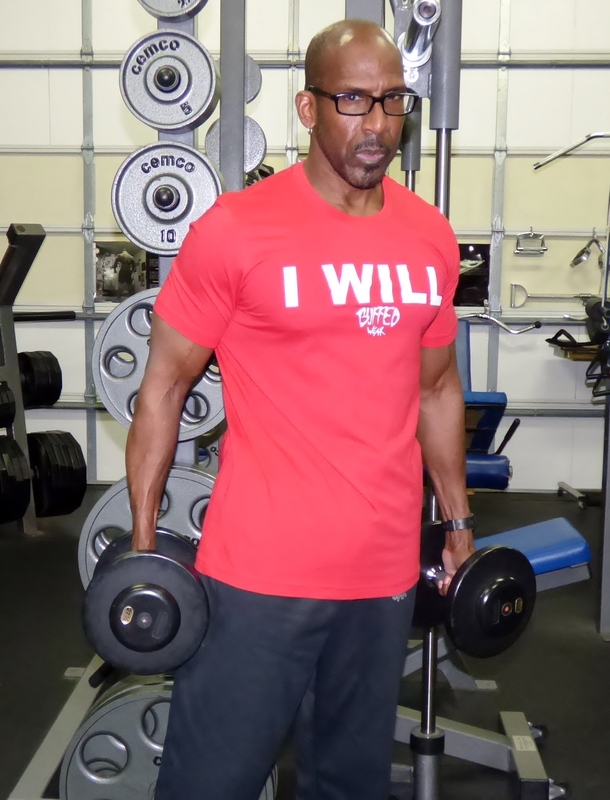 Guys, buy this “Be Badass Everyday” saying on this super soft and comfortable, 32 singles, Next Level premium T-shirt HERE. When we receive your order (remember, order MUST be received by Midnight PST on Friday, April 15th), we’ll ship you a FREE BUFFEDWEAR t-shirt. 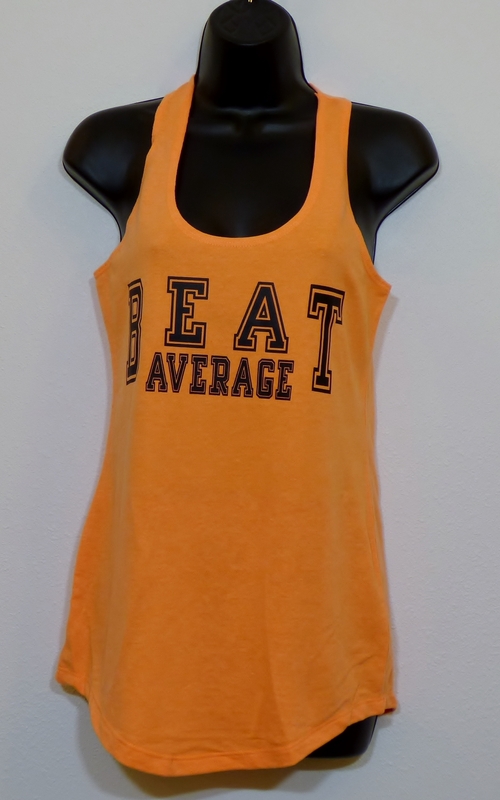 Ladies, grab our ‘BuffedGirl” design on this super soft and comfortable, 32 singles, terry tanktop HERE. When we receive your order (remember, order MUST be received by Midnight PST on Friday, April 15th), we’ll ship you a FREE BUFFEDWEAR tanktop. Guys, buy this “BuffedMan” design on this super soft and comfortable, 32 singles, Next Level premium T-shirt HERE. When we receive your order (remember, order MUST be received by Midnight PST on Friday, April 15th), we’ll ship you a FREE BUFFEDWEAR t-shirt. 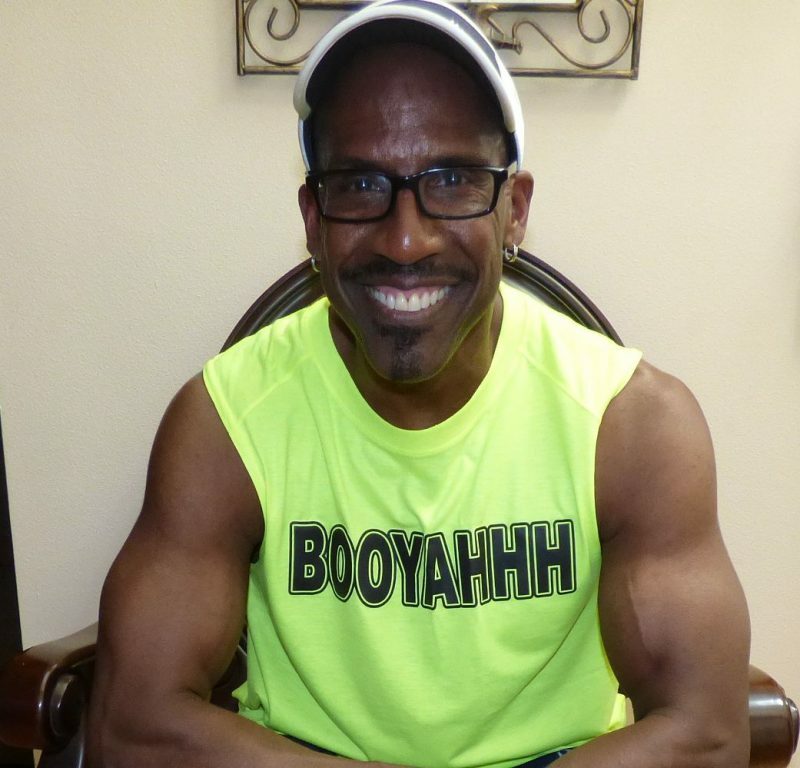 This entry was posted in Blog, Uncategorized and tagged athletic wear, bikini, bodybuilder, buffedwear, clothing, competitor, Dr Buff, figure, fitness, gear, hoodies, physique, t-shirts, tank-tops. 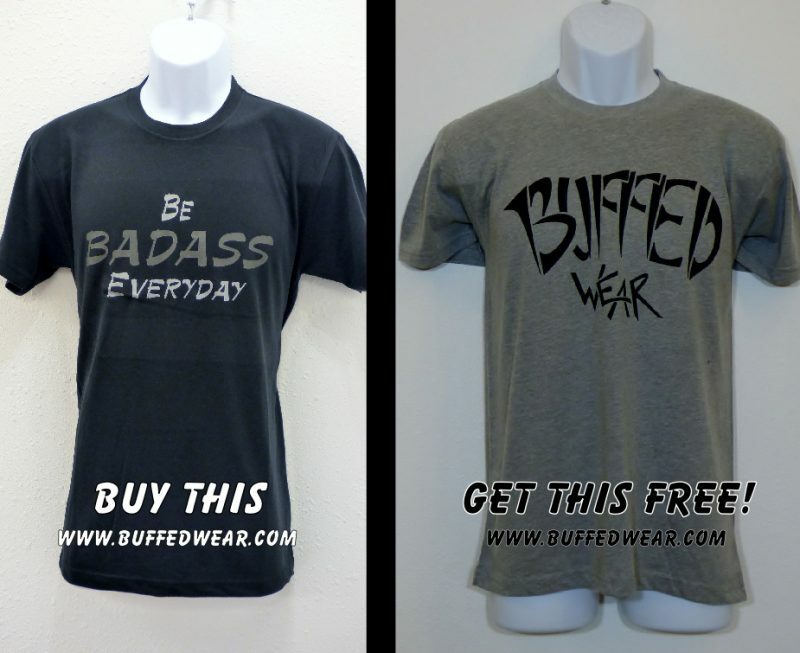 Join Our BuffedWear Newsletter List!